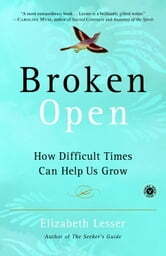 NEW YORK TIMES BESTSELLER • This inspiring guide to healing and growth illuminates the richness and potential of every life, even in the face of loss and adversity. In the more than twenty-five years since she co-founded Omega Institute—now the world’s largest center for spiritual retreat and personal growth—Elizabeth Lesser has been an intimate witness to the ways in which people weather change and transition. 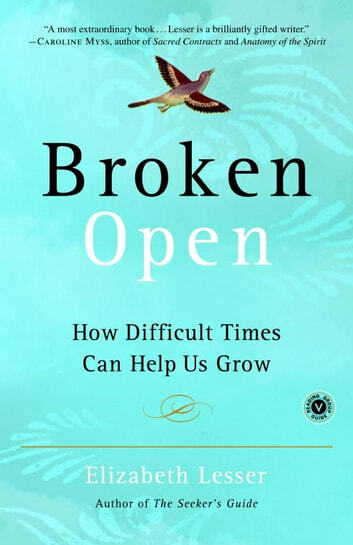 In a beautifully crafted blend of moving stories, humorous insights, practical guidance, and personal memoir, she offers tools to help us make the choice we all face in times of challenge: Will we be broken down and defeated, or broken open and transformed? Lesser shares tales of ordinary people who have risen from the ashes of illness, divorce, loss of a job or a loved one—stronger, wiser, and more in touch with their purpose and passion. And she draws on the world’s great spiritual and psychological traditions to support us as we too learn to break open and blossom into who we were meant to be.